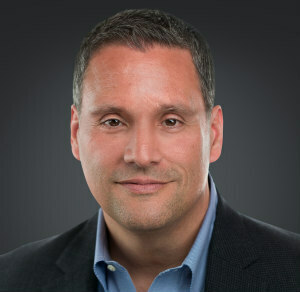 Mark C. Perna is the founder and CEO of TFS (Tools for Schools) in Cleveland, Ohio, a full-service strategic consulting firm whose mission is to share and support every client’s passion for making a difference. Today we are talking about his book - Answering Why: Unleashing Passion, Purpose, and Performance in Younger Generations, which was written to help educators, employers, and parents understand Generations Y and Z and inspire them to greater performance in all areas of life. As an international expert on Generations Y and Z, Mark has devoted his career to empowering educators and employers to unleash the tremendous potential of today’s young people, both in the classroom and on the job. Parents, schools, districts, businesses, and state organizations across North America have successfully used Mark’s insights and strategies to connect more effectively with the younger generations. A dynamic and motivational public speaker, Mark frequently delivers keynote speeches at national and statewide events. He has published numerous articles in national publications as a recognized voice in student engagement and success. Mark is passionate about the mission that he has created for himself. You will hear his energy and drive as we talk. Check out his comments about his favorite line from Apollo 13 (the movie) and tell me that it doesn't become your favorite line as he explains why he remembers it. Lots to learn. His book is easy to read and is written such that you want to keep reading. I hope that you will share it with your colleagues and friend. 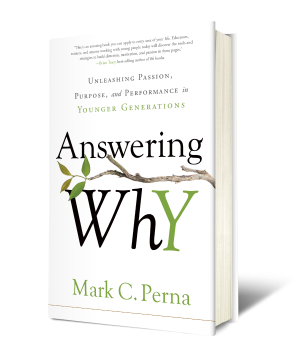 Check out the links below to find out more about Mark, his book Answering Why: Unleashing Passion, Purpose, and Performance in Younger Generations, and so much more.